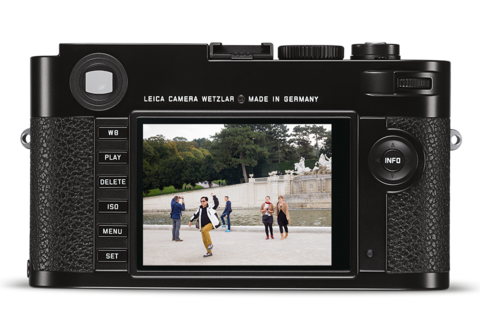 Leica M typ 262 (black) Camera – Photocreative Inc. The resulting images are characterized by outstanding contrast, exceptionally detailed resolution and low image noise. At the same time, the camera’s Maestro processor guarantees fast processing of captured images and immediate readiness to shoot. The generously dimensioned 3" monitor with a cover plate manufactured from tough, scratch-resistant Corning® Gorilla® Glass® offers you complete control at all times. With a resolution of 921,600 pixels, it enables easy assessment and review of your pictures with regard to exposure, sharpness and colour.